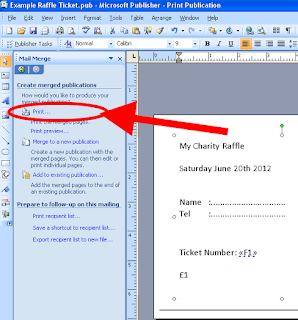 You've found this post, so you already know creating raffle tickets to print out yourself is harder than it sounds. A few days ago my wife asked me if I could help her print out raffle tickets for our local kindergarten quiz night. 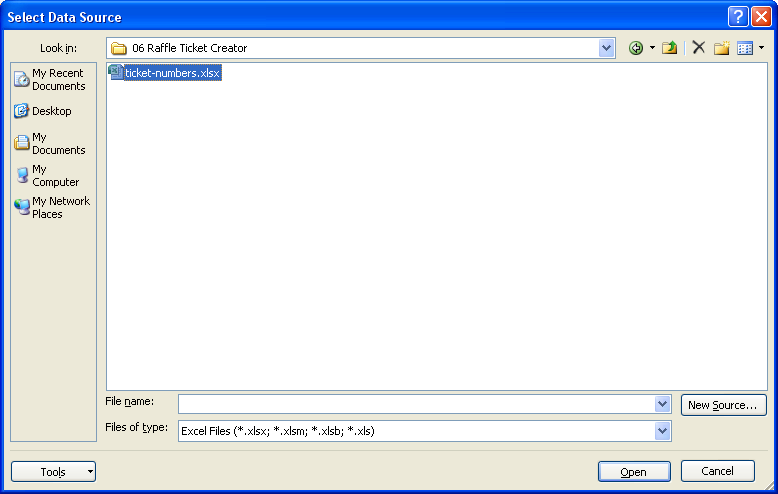 She had this Word document, with the raffle tickets neatly arranged on the page and was about to start typing a unique ticket number on every ticket. All 500 of them. My first thought: "Stop! 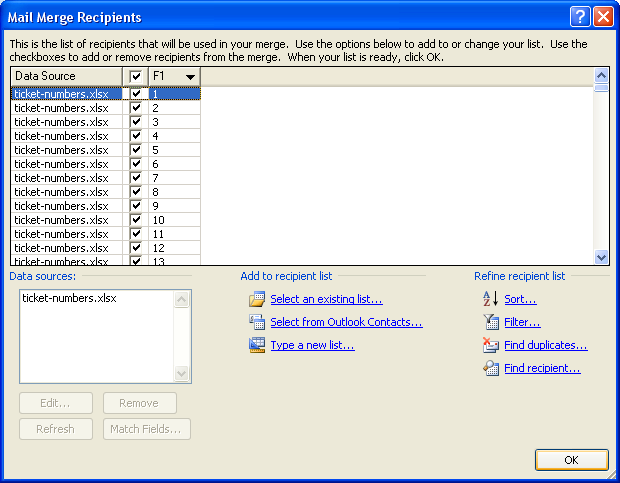 Just do a quick mail merge, and Word will produce 500 tickets each with a unique ticket number." "Honey, step aside, it'll take me about 10 minutes. Watch and learn." Turns out it took the best part of an afternoon. 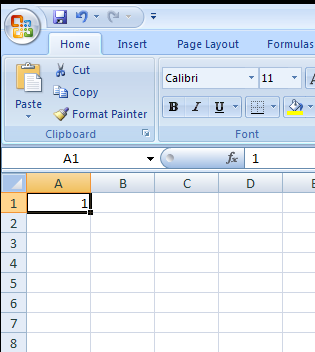 Open Publisher and click on File... > New to create a new blank document. 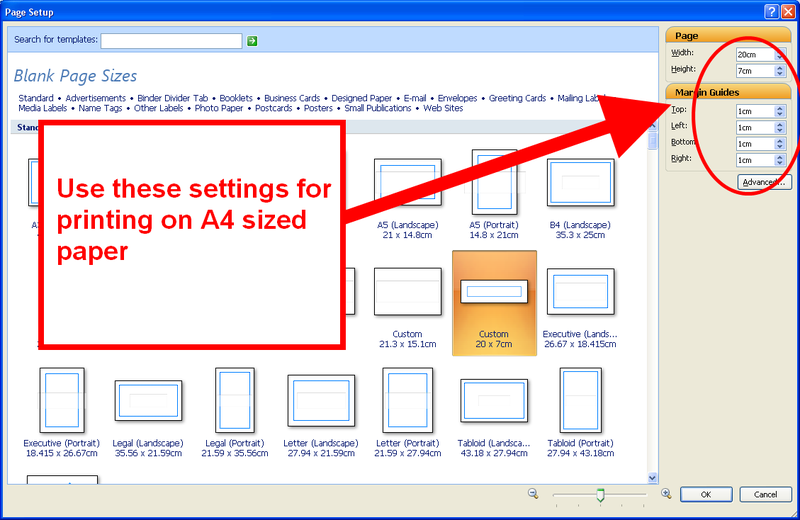 Depending on your settings, you'll get a bunch of options here with different templates and sizes. 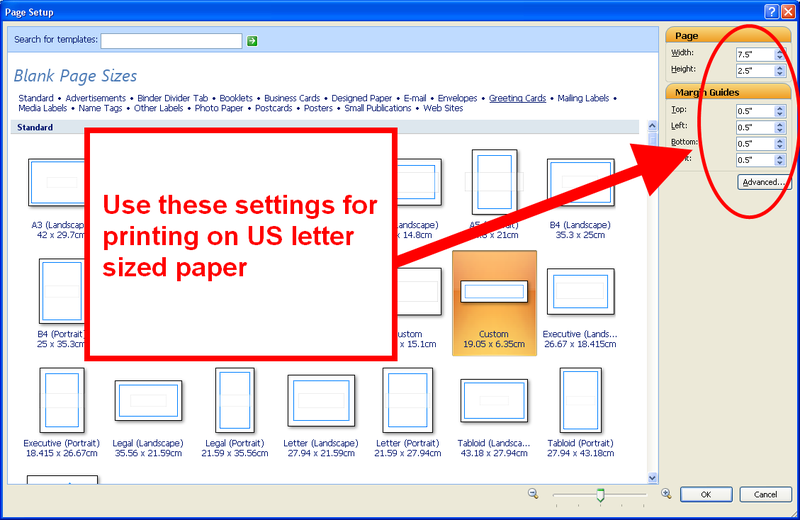 You just need to create a new blank document, it doesn't matter what size because you are going to change the size in a minute. Too much like hard work? Try this online tool to design and print your own raffle tickets without battling with Excel and Publisher! 2. 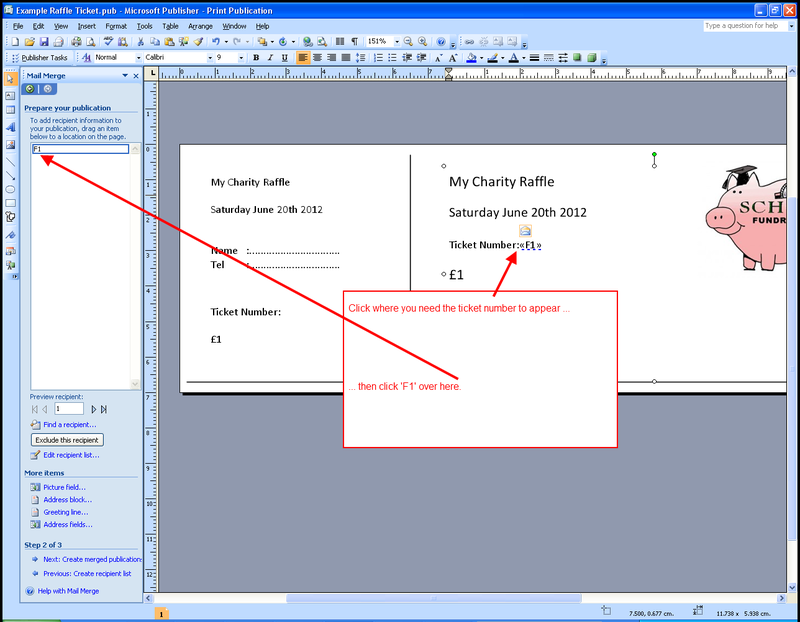 Create a list of raffle ticket numbers in Excel (or another spreadsheet program). 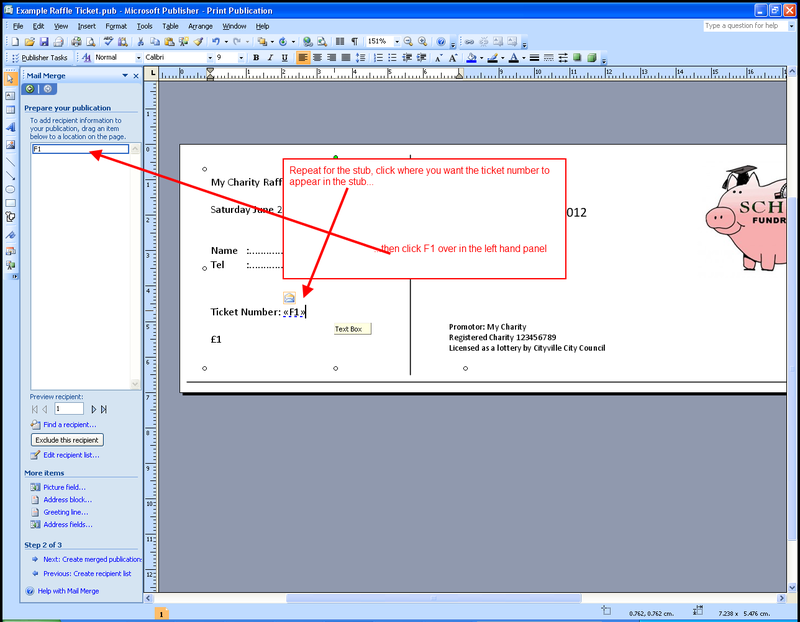 A big panel should appear on the left hand side of the screen. C'mon, this is crazy-complicated! 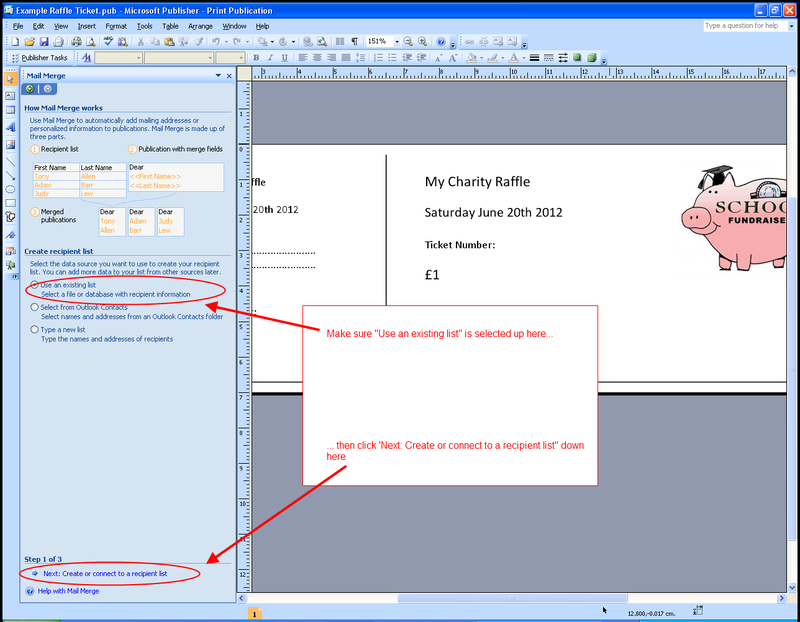 Save yourself a few hours and try this tool which lets you to design and print your own raffle tickets online. Print them at home, as many as you need. 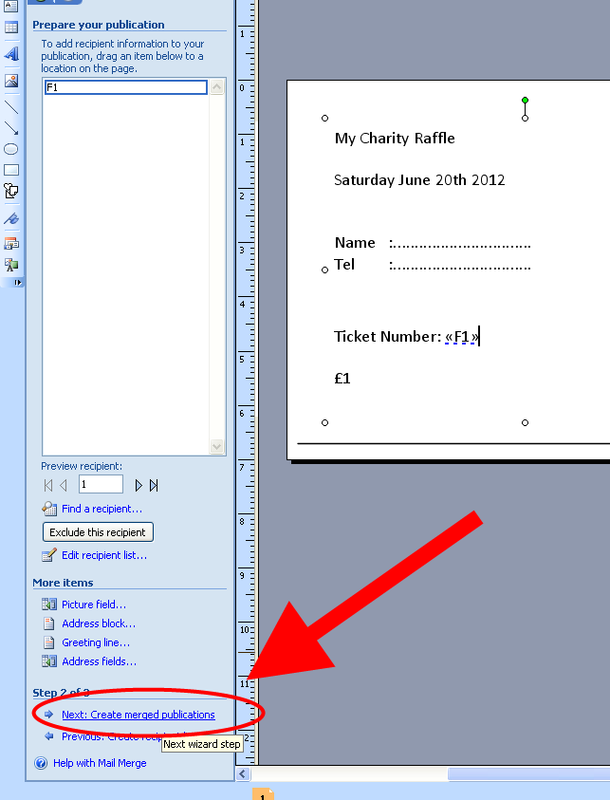 ... and click the Print button, then all your raffle tickets will come out of the printer, each with a unique ticket number. oh M gee....thank you thank you thank you!! Mate you are a genius! 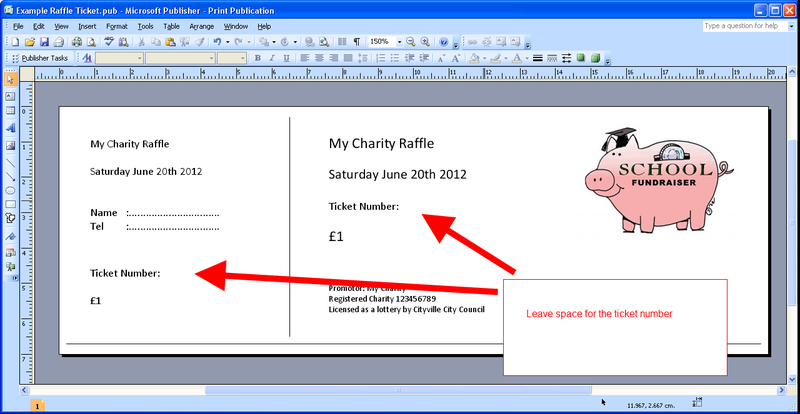 I was going to buy a simple raffle ticket book but this was so easy to follow. 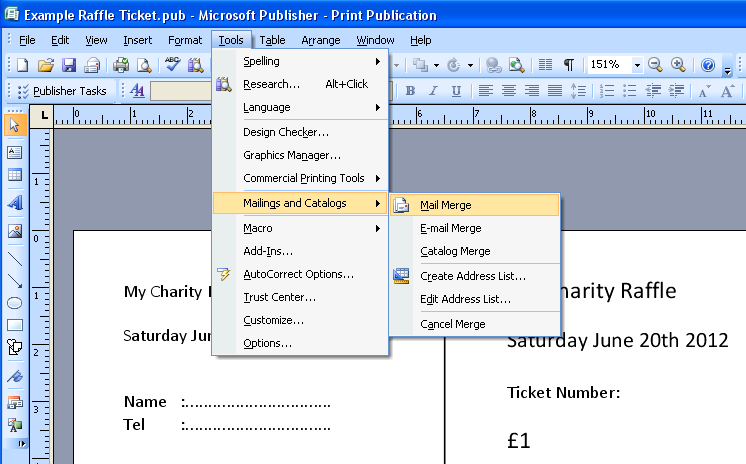 I'm using Office 2010 so a few of the menu options are different but I figured it out. 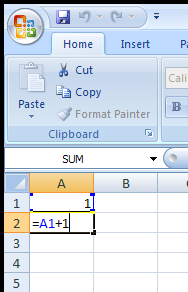 You just saved me from a lot of work! And money! Haha. Thank youuu! Great! 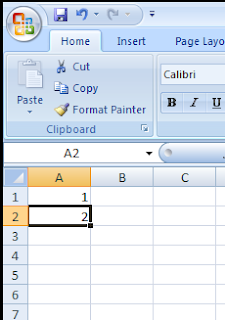 Glad this was helpful for you! Hope your raffle goes well. Excellent. Hope your raffle goes well. When I get a moment I'll update the screenshots and instructions for Publisher 2010! Thank you for this easy to follow step by step instructions. So helpful! Great, pleased to hear that they worked for you. 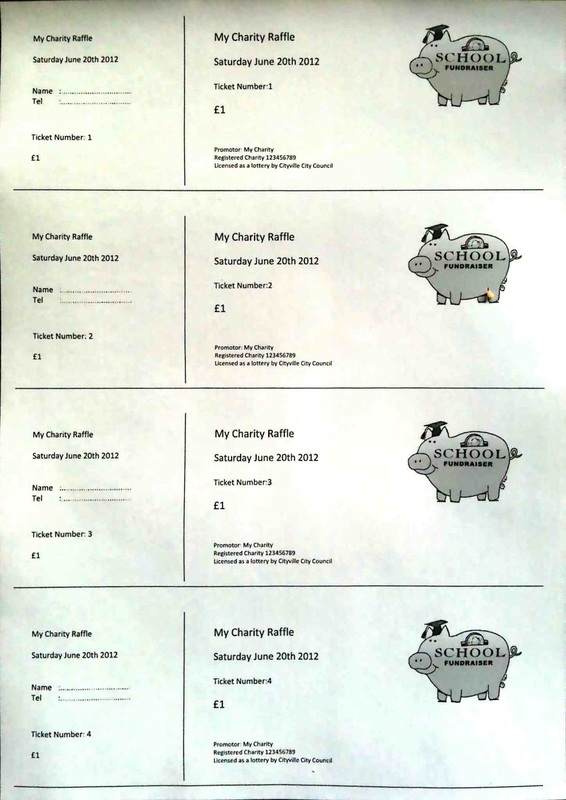 Hope your raffle goes well! My tickets only printed two per page, in the first and third spits of the letter sized page. 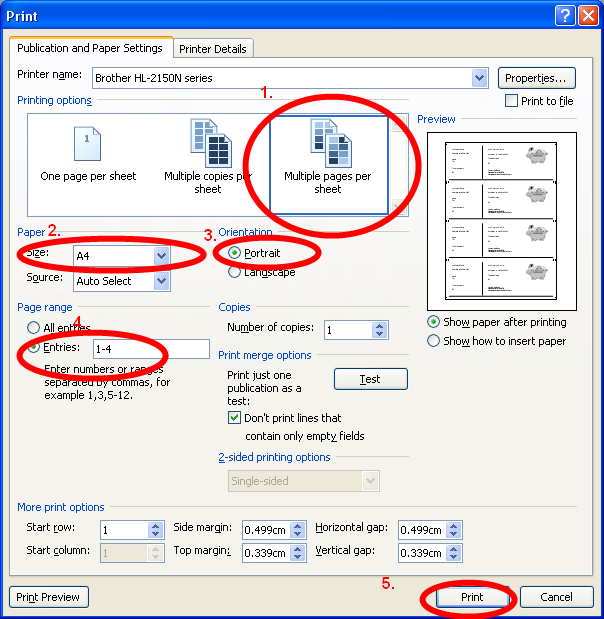 They did print properly/sequentially ordered however. Any suggestions as to how to get four tickets per page? This happened to me the first time I tried to print. 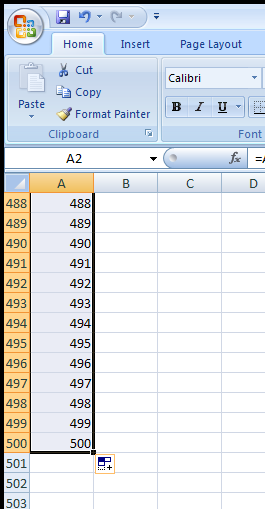 You have to move the margins. Great! Glad to hear that these instructions helped.